Every year we see new trends come and go in weddings. Some of these trends may stay and become traditions, while others quickly get thrown out the window in favor of another new trend the next year. Nevertheless, it’s important as a wedding venue to keep up on these traditions in order to best serve our clients. Here are 5 of the hottest wedding trends that we’ve seen in 2018. Over the last few years, we’ve seen couples use place cards on the table with their names, thank yous, and any other greetings they’d want to fit on the there. However, over the last few weddings, we’ve seen couples have a small chocolate with a place card on top of it, or an actual chocolate place card with edible printing on it. This is a delicious new wedding trend that we really hope sticks around. It can be very creative depending on the style and design the couple chooses. 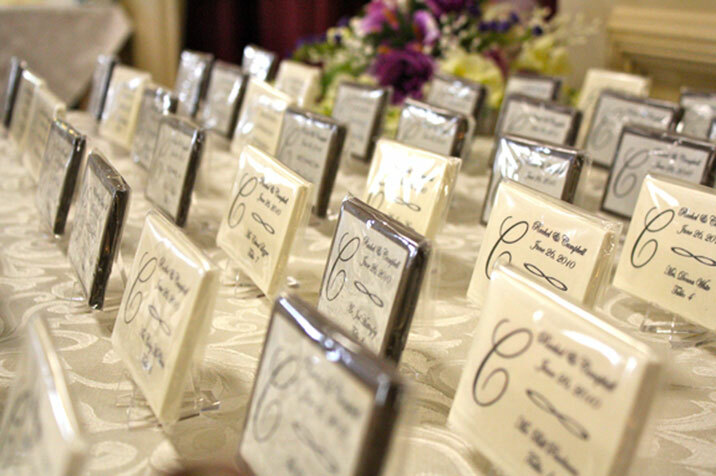 We recently saw innovative chocolate place cards that had the menu printed on them on each guest’s plate. What a wonderful way to introduce the night to your guests! Here are some fantastic edible place card ideas. We saw this trend pop up a few years back, and it seems to be making a comeback. This is the party after the party. Once the reception is finished, we’re seeing more and more couples having a smaller after-party with closer friends. This is a much more casual event where you can take off the heels and put on some flats. 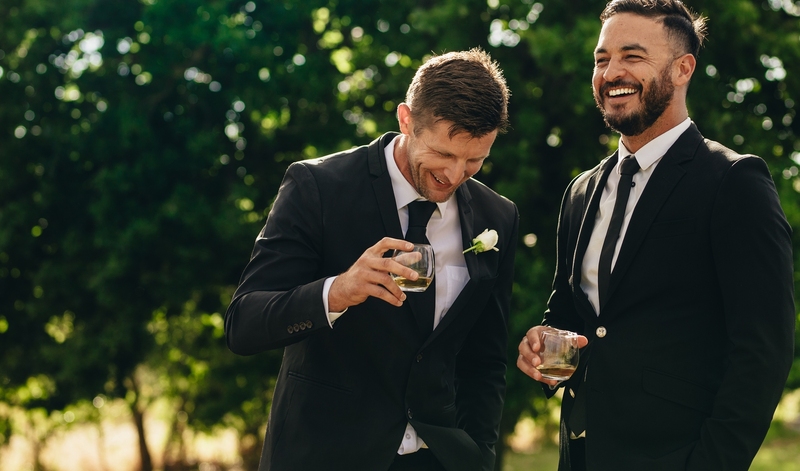 The idea is that since the reception is so hectic, the bride and groom sometimes don’t get enough time to spend with their truly closest of friends and family. The after-party lets the group hang out in a much more relaxed environment so that the night doesn’t have to end so soon. This is truly one of our favorite wedding trends! The food is always a big thing at the wedding. Guests are hungry, and they want to eat. 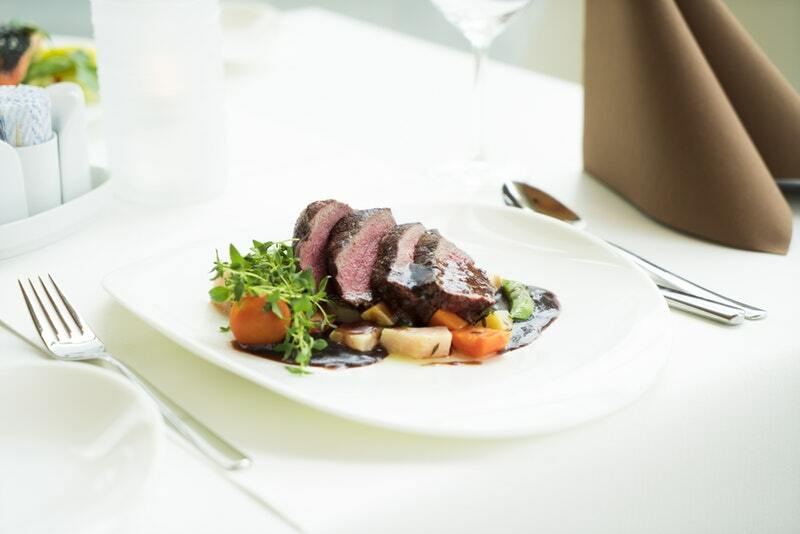 Because food is so often the focal point, we’re seeing more and more couples asking for creative dishes for their wedding. Perhaps some tapas, or more finger foods. We’re seeing couples treating food as entertainment instead of just “here’s some food so you don’t stay hungry”. We absolutely love this trend. Food should not only be delicious at a wedding—it should be pretty as well! Plus, it gives our catering department a chance to get really creative and bring the couple’s imagination to life. This is one of the wedding trends we didn’t completely expect! More and more this year we are starting to see bridesmaids dresses that aren’t all uniform. This doesn’t mean you’re going to see one black dress, one green dress, one purple dress. Instead, what we’re seeing is the same color but in different shades. For example, if purple is the main color for the bridesmaids, you’ll see some darker and lighter shades of purple. It really is a beautiful trend as it allows each bridesmaid to stand out a little on their own. We’re seeing the color burgundy sweep its way into weddings this year. 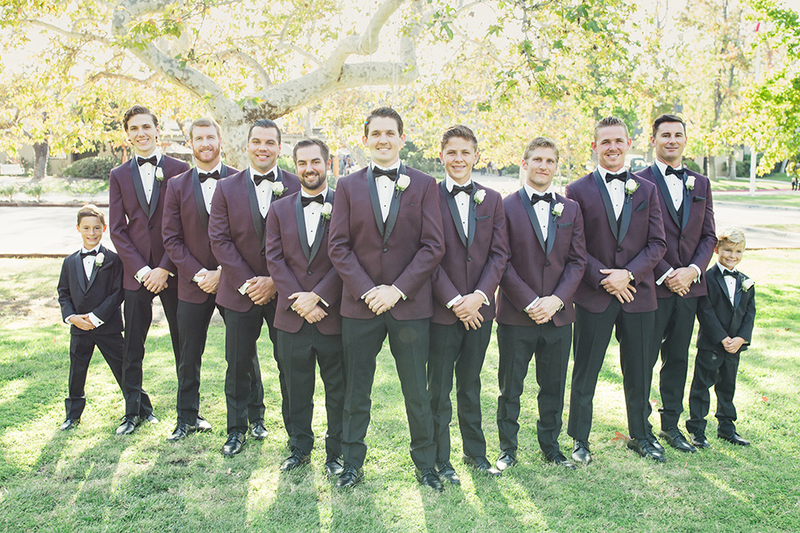 Most recently, burgundy suits for the groom and groomsmen. We think this is one of the more interesting wedding trends to date. Navy blue and black has been traditionally the color styles for the grooms over the years, so we’ll see if this burgundy trend stays. It does look good in suits, so bring it on! Remember, these are just trends, and some of them will go away—but some just might stay on. The important thing is to choose the styles, colors, food, music, and traditions that you as a couple want. Discuss your wedding plans together and make sure neither of you will be embarrassed ten years down the road by something that was a fleeting trend. Weddings should stand the test of time, but they should also reflect your vision.